One of Hyundai’s new second-generation Veloster 3-door hatchbacks is a sporty model known as the R-Spec, but you could call it the “R-Speck.” It sure is tiny—and that goes for its starting price of $23,785 with delivery, too. 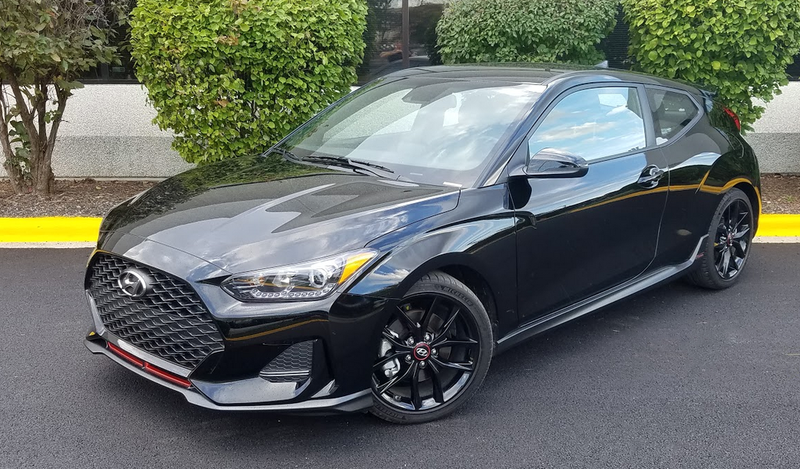 The redesigned-for-2019 Hyundai Veloster retains the novel 3-door hatchback configuration (one on the driver’s side, two on the passenger side) of the previous-generation model. Racy styling touches include a rear spoiler, “ground effects” rocker-panel moldings, and a rear fascia with center-mount dual exhaust tips. 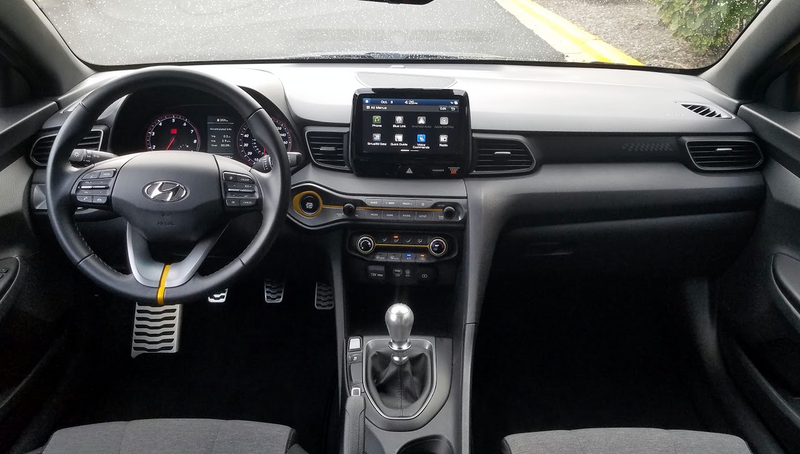 The Veloster’s interior is built to a price–particularly in the lower-line trim levels–but the exuberant styling and sporty trim touches give it a fun ambiance. The metal shift knob can be particularly hot or cold to the touch, depending on the weather. This is a car that is easy and agreeable to drive. 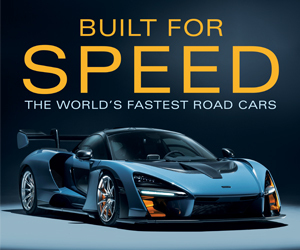 The 201-horsepower engine is eager (and just slightly more so in “Sport” mode) with minimal turbo lag, and with the manual transmission it’s not subject to the odd shift behavior of the 7-speed dual-clutch automated-manual that CG found in the Ultimate test car. The R-Spec’s 6-speed shifter isn’t exactly a precision instrument; there’s a little looseness to it, and the gates for the odd-numbered gears are a bit of a reach. But the clutch is light and easy to modulate. Dynamically, it handles and stops well, and clings to curves. That said, it’s possible to find hints of torque steer in brisk acceleration, and the summer rubber is a bit noisy at elevated highway speeds. Ride quality from the sport-tuned suspension is not fully to the level of some of its small sporty/performance-class competitors. The R-Spec model is the most affordable way to get Hyundai’s peppy 201-hp turbocharged 1.6-liter four in the Veloster. Eighteen-inch alloy wheels on Michelin Pilot Sport tires are also standard equipment. Manual-transmission Velosters don’t have quite the fuel-economy ratings projected for the dual-clutch automatic. The EPA projects the turbo with stickshift at 26 mpg in the city, 33 on the highway, and 29 combined. CG’s overall mileage came up short of the city figure, though one driver got very close to matching the combined estimate in his stint that was evenly divided between city and highway driving. The R-Spec keeps its price low by avoiding certain luxuries and extra levels of tech that can be found further up the line. Soft-touch surfaces are scarce too. 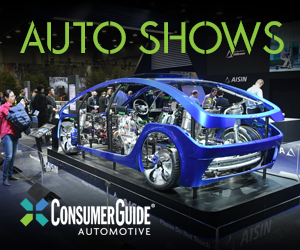 Nonetheless, it does come with LED headlights and taillights, automatic high beams, heated mirrors, a 4.2-inch color vehicle-information display, air conditioning, keyless access and starting, alloy-faced pedals, an 8-speaker premium audio with satellite radio and an 8-inch display screen, Apple CarPlay/Android Auto compatibility, Hyundai Blue Link telematics, lane-keep assist, driver-attention warning, and forward-collision warning and mitigation. The audio and climate systems are dead simple to reach and operate. The 2019 Veloster’s reworked roof design improves rear-seat headroom, but the straight-back view for drivers remains limited. There’s fine headroom and legroom for front passengers, and enough rear legroom to keep a couple of average-sized adults from feeling cramped. Cargo loads onto a flat floor but it has to clear a tall lip first. The 60/40-split rear seats fold almost flat, though at a few inches above the level of the trunk floor. A considerably more muscular Veloster, the N, is on the way for drivers who crave a hotter hatchback. Meanwhile, the R-Spec represents the core car’s inexpensive fun-to-drive nature but with a little more attitude. For some shoppers, that will be Speck-tacular enough. 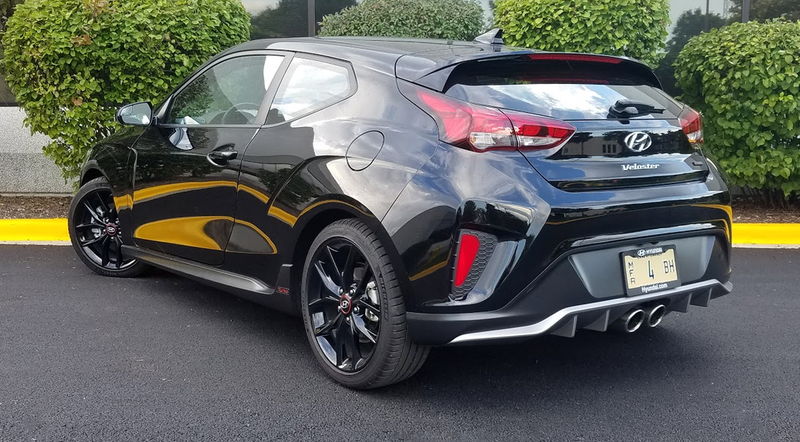 The Veloster R-Spec delivers all of the turbocharged fun of the pricier Veloster Turbo models at a more-accessible price point. The R-Spec goes without a few luxury and safety-tech features, but it doesn’t want for personality. Written by: The Daily Drive staff on December 6, 2018.on December 7, 2018.